For the past seven years the Carbon Monoxide Awareness charity has been working hard to raise awareness of the dangers surrounding carbon monoxide poisoning, however the charity is on the brink of closure due to a lack of funding. After suffering the effects of carbon monoxide poisoning which had gone unnoticed, Lynn Griffiths came to establish the charity back in April 2005. In that seven years the charity has run numerous national press campaigns, established the Carbon Monoxide Awareness Week and lobbied for resources to help educate doctors and nurses in spotting the signs of carbon monoxide poisoning related illnesses. Unfortunately due to a lack of funds the valuable work provided by the charity – which is run solely by a group of dedicated volunteers – is likely to cease by the end of the year, unless new funding can be found to give the charity a lifeline. Despite having her gas appliances serviced on a regular basis, for single mum Lynn from Runcorn in Cheshire it was a partially-blocked flu which had remained undetected for year that was attributed to the carbon monoxide poisoning. “I’ve dedicated the last seven years of my life to helping people avoid this unnecessary suffering. It’s a cause I’m passionate about, but unless a fairy godmother should emerge out of the blue, I cannot see us continuing,” she added. 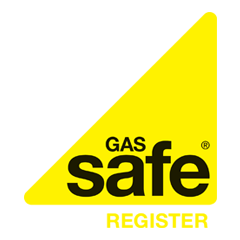 It’s estimated that around five million UK homes have gas appliances which are badly maintained or incorrectly installed. And with 50 fatalities and around 4,000 people diagnosed with low-level carbon monoxide poisoning annually, the work provided by the Carbon Monoxide Awareness charity is undoubtedly vital. Most carbon monoxide attributed deaths and illnesses occur as a result of faulty or badly installed gas appliances, blocked or partially blocked flues and poor ventilation. And sadly most could be avoided.